There is increasing acknowledgement that people who have completed cancer treatment need help and support. Adjusting to life after cancer treatment or living with cancer can provoke strong emotions and possible fears for the future. People living with and beyond cancer have new challenges to cope with including physical, psychological and social needs. 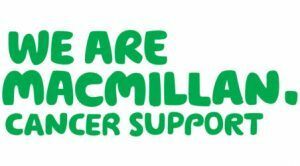 The Macmillan Living with and Beyond Cancer Team is a joint venture between Care Plus Group and Macmillan Cancer Support working closely with specialist nurses, practitioners and therapists. We are also closely linked with volunteer and community groups. The service offers a variety of support options for people living with and beyond cancer, their families and carers who are at the end of their active treatment. We can offer appointments in GP practices and community settings which may be one-to-one or group sessions. We can also provide support over the telephone and email. The service is nurse-led but the range of activities and support options we offer is wide ranging. We work with you as an individual to support you with the challenges your cancer survivorship involves whether they are physical, mental or social. Patients can access a full programme of support including self-management options. Services from the team are open to all cancer survivors, their families and carers living in North East Lincolnshire.